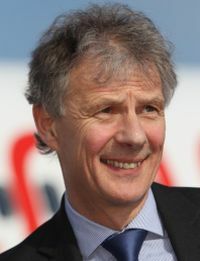 The September luncheon of the Aviation Club of the United Kingdom (Thursday 13 September Institute of Directors, London) at which Keith Williams CEO of British Airways is the guest speaker, is now sold out. A wait list has been established. 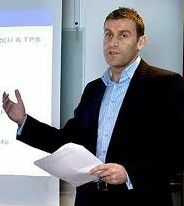 Luton Airport has launched ‘Meet the Buyer’, due to take place on 18 October 2012. The event is hosted in conjunction with Luton Borough Council, the local Chambers of Commerce, the University of Bedfordshire and the Federation of Small Businesses. 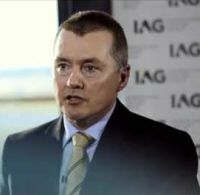 The aim of the day is to give local suppliers the opportunity to showcase their services to airport related companies. Hilton Garden Inn, a mid-market hotel brand, has announced the opening of its first property in The Netherlands. Hilton Garden Inn Leiden is situated in the key business region between The Hague and Amsterdam and brings the total number of Hilton Worldwide properties in the country to seven. Hilton DoubleTree’s expansion in the UK continues with the announcement of a franchise agreement with Municipal Annex Ltd for management company Sanguine Hospitality to introduce an upscale property in Liverpool. Air safety, always a priority with Ryanair, seems to have been compromised with no less than three aircraft forced to make emergency landings at Valencia (Spain) within minutes of each other in late July when the aircraft ran low on fuel. Mayday calls were made (although the authorities have yet to confirm). From Sunday 9 December the First Group will take over the UK main line train service known as ‘InterCity West Coast’ from Virgin Trains. Rail Minister Theresa Villiers made the announcement last week. It is a fourteen year contract. British Airways is making sure that youngsters know all about the airline from the youngest age. 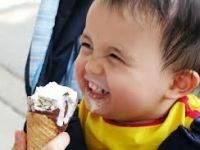 Customers at Gatwick are being helped to get into the holiday mood with a summer send-off courtesy of the airline and Gatwick Airport. Whilst the Olympic Games of 2016 might seem a long way away, Brazil stays in the headlines with the soccer World Cup in 2014, and also Embraer building on its position as the world’s fourth largest aircraft producer. With São José dos Campos, Embraer’s home, just one hour’s drive away the Botanique Hotel & Spa, Campos do Jordão, opens in November. 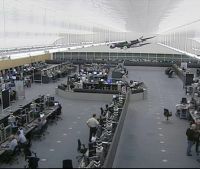 The owner of British Airways and Iberia, IAG, has rung the alarm bells on its exposure to the Spanish financial problems, announcing contingency plans for a Euro exit by that country. A team has been set up to study the impact on the business if Europe's fourth largest economy left the single European currency. London Luton Airport Ltd (LLAL), effectively the local Council, and London Luton Airport Operations Ltd (LLAOL), owned by Spanish conglomerate Abertis, have signed a contract which gives security to the Barcelona-based company as it develops its investment through to 2031. Later this year LLAOL will submit a development application which will be subject to the statutory consultation process including public consultation by the Local Planning Authority. Passenger through-put generates income in the region of £10m to Luton Borough Council that is critical for maintaining services to its community and supporting its capital programme. Current revenue provides a further £14m invested in local communities through supporting charitable organisations. Income would increase with future passenger growth. 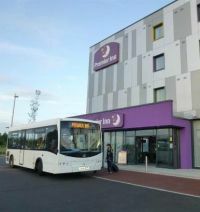 A brand new Premier Inn at Stansted Airport has officially opened. It is sited close by the Mid-Stay Car Park on the main approach road to the airport. It is about a five-minute ride away from the main terminal building and the airport railway station via a courtesy shuttle bus which operates every 30 minutes. The city of Voronezh, situated 300 miles south of Moscow, will host a Marriott Hotel in 2015. With a population of nearly one million it has limited air links westward. Its major claim to aeronautical fame being the home of the Russian supersonic airliner known as Concordski, Tu-144. One still remains in storage. As Editor in Chief of The Business Travel News just occasionally I write an ON TOUR piece for my own enjoyment and record. This is the case with the Olympics. What follows is a sort of diary of my own time over an enthralling 16 days. It is not a commentary on any individual sport. I will leave that to the experts in their field. 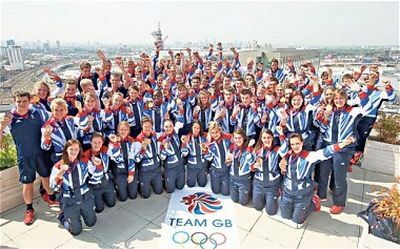 British airport operator BAA reported a 4.1% fall in July passenger traffic on last year as Britons stayed home to watch the Olympics and tourists deferred their travel until after the Games. 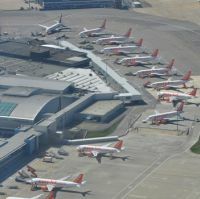 BAA, owned by Spanish infrastructure group Ferrovial, said 9.6m passengers passed through its five UK airports last month, compared with about 10m in July 2011. 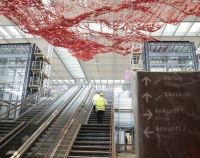 Willy Brandt Berlin-Brandenburg Airport, the new hub for the German capital, looks set for yet another embarrassing delay. Reports coming out of the city indicate that the latest opening date, 17 March 2013, is unlikely to be met. NATS, the UK’s major provider of air traffic services and essentially a partnership between the Government and the UK airlines, has released the second quarter of performance data for its world-first environmental flight efficiency metric. Malaysia Airlines has introduced daily non-stop A380 flights between Heathrow and Kuala Lumpur (KLIA) as its second Airbus superjumbo joins the fleet. This comes six weeks after the airline celebrated the launch of the inaugural A380 service, which operated three times per week up until now. Emirates continues its network expansion with the announcement of the start of daily services to Phuket in Thailand. This popular holiday destination is the country's largest island. 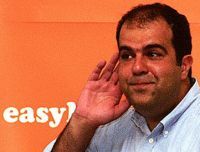 EasyJet shareholders have rebuffed an attempt by the budget airline's founder and largest shareholder Sir Stelios Haji-Ioannou to oust Chairman Michael Rake. This was the latest attempt by the entrepreneur to change the direction that the airline is going, the challenge brought about due to Rake’s involvement with Barclays Bank, where he is Deputy Chairman. Once the Haji-Ioannou family investment is taken away it is very clear that the vast majority of shareholders, mostly from The City, are pleased with the airline’s results. 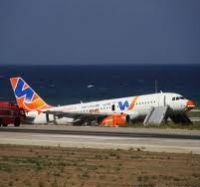 Italy's beleaguered budget airline, Windjet, has stopped operations Sunday with aviation authority ENAC revoking its operating licence. Passengers were stranded overnight at Rome's Fiumicino airport.